Imagine walking into a coffee shop, thirsty for your favourite drink. You see they have a specialty, organic version on the menu, and you know it’s going to be good. But wait – you decide to compare prices, and it’s 5 cents more than the other specialty, organic drinks that you don’t want. Do you storm out in protest, or do you happily order the drink because what’s 5 cents for a drink you love? Yeah, we thought that might be your answer. For many cafés, the idea of charging extra for their decaf coffee feels shocking – almost wrong. Yet when it’s the difference between having specialty decaf and, well, bad, tasteless, chemically created decaf, customers will be happy to pay a little more. And cafés shouldn’t be forced to swallow a loss in profit. Swiss Water’s decaf, organic, Fairtrade Honduran beans. Credit: J. Smedley for Perfect Daily Grind. Part of the reason coffee houses are wary about charging more for decaf is that its reputation precedes it: a negative reputation based on history. But specialty decaf has been making its way into coffee shops and into coffee lovers’ hearts. According to the International Trade Centre, in 2011 decaf accounted for 10% of consumption in the UK, 13% in the US, and a whopping 16% in Spain. And interestingly, although the most recent statistic is from 2005, the ITC also note that decaf’s consumption share for specialty was over twice as high as for commodity in the US. In other words, consumers – even specialty consumers – want decaf. And don’t we owe it to these consumers to serve the best decaf we possibly can? Without bankrupting ourselves? The thing is, even though specialty decaf exists, it costs more to make. David pointed out that, psychologically, coffee shop owners may feel like they’re giving customers less than with regular coffee – after all, you’re removing the caffeine. But that act of removing it requires a significant amount of manhours, technology, and space. All that costs money. 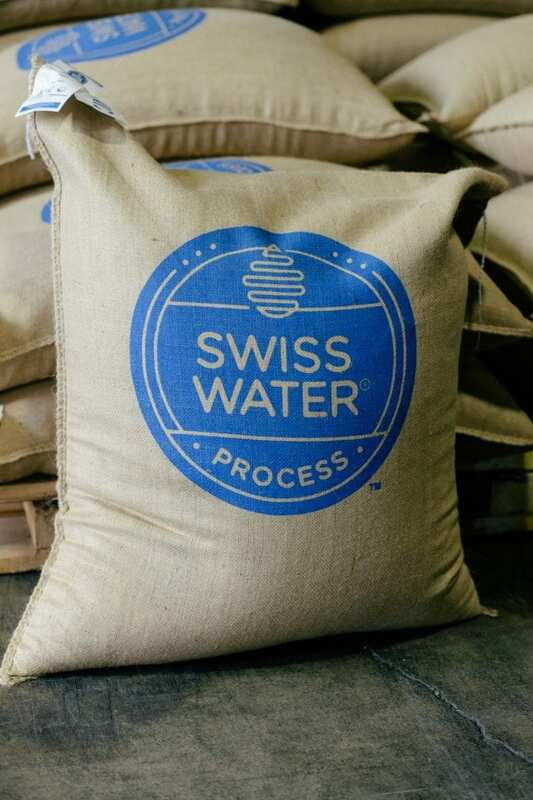 The Swiss Water decaffeination process takes over ten hours. And this isn’t a let-it-happen-overnight situation: the coffee is constantly monitored throughout those ten hours to ensure that all the variables are correct. It’s doing this that creates decaf coffee so good, it tastes just like “normal” coffee. It’s doing this that preserves the taste of origin in an Ethiopian Sidamo or a Kenyan AA. Some decaf coffee providers will make their coffee less expensive by using chemical solvents to speed the process up. However, these chemicals can add their own taste to the coffee – or leave it seemingly “tasteless”. 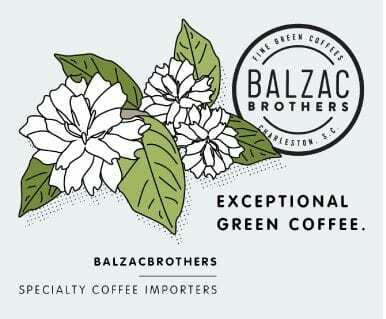 What’s more, for those looking for organic coffee, the labels can be misleading. Take “natural decaf” or “sugar cane decaf”, which uses ethyl acetate. 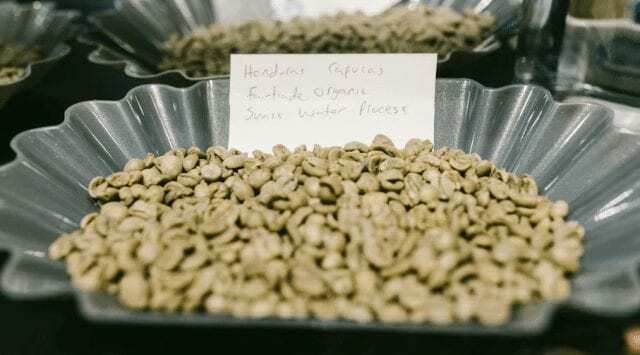 Ethyl acetate can occur naturally, in things such as fruit, but it does so at a prohibitively low rate for use in decaffeination – meaning some “sugar cane decaf” coffees actually use a cheaper synthetic ethyl acetate solvent. David told us that, of the many coffee shop owners he works with, the majority choose to swallow the extra cost of specialty-grade decaf. Yet that makes it a difficult decision for coffee shops, where the margins are often narrow enough already. For him, decaf coffee should be treated as a separate category to caffeinated coffee. Cafés wouldn’t hesitate to price a hot chocolate or a peppermint tea differently to a latte; neither should they with decaf. Coffee houses need to reconsider how they view decaf. It’s not about removing the caffeine; rather, it’s about giving a customer the perfect cup of coffee for them – the kind of coffee that starts their morning off right, that puts a smile on their face in an otherwise dull day. And if that costs a little more, they won’t complain. 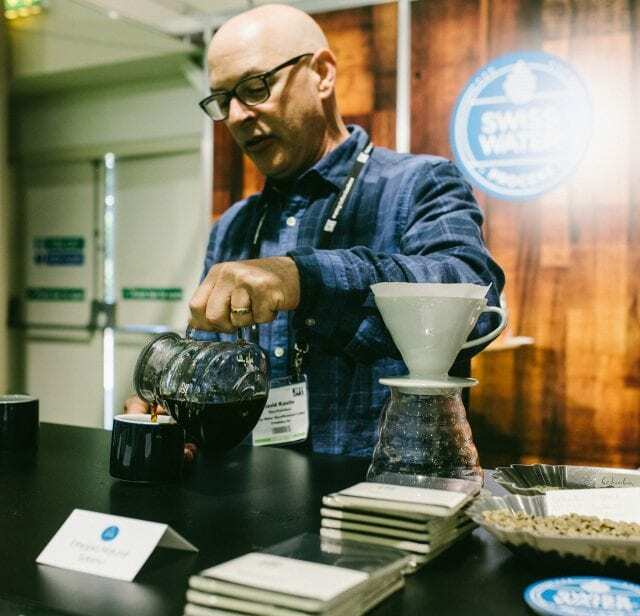 Written by T. Newton, with special thanks to David Kastle of Swiss Water for talking to us about the trends in decaf. Swiss Water is a sponsor of Perfect Daily Grind. Perfect Daily Grind is not affiliated with any other individuals or bodies mentioned in this article, and cannot directly endorse them.